Can "The Poor" Change Their Destiny? Are people poor because they're poor? This sounds like a nonsensical question and yet, many of the world's poor believe that their poverty is an inherent, unchangeable status. That is, they believe it is their destiny, their fate, to be poor. It is not uncommon to find individuals in parts of Africa who believe they, personally, and their countries, generally, have fewer material goods and resources than Western countries for no other reason than that they are black - a tragic scar from the colonial experience. Many in South Asia believe they are poor because, in their religious systems, a divine authority has ordained their poverty. With this omnipotent mandate, it is impossible to change their condition. All of us have some kind of ingrained belief system which motivates our daily decisions, determines which trends we follow, and the risks we're willing to take. Perhaps in Canada we suffer from the opposite complex of believing that because we're Canadian (or white?) we're entitled to wealth and privilege. We don't consider the possibility that changing circumstances could potentially make us one of "the poor". We might take our position of privilege as a right, rather than as an accident of birth. Many of us are actually quite unaware of the ins-and-outs of the framework through which we interpret life. These types of belief systems are powerful and have the potential to keep the poor permanently locked in poverty. It takes real courage to dare to change your mind, and your circumstance, particularly when it's counter-cultural. Food for the Hungry (FH) Bangladesh loves to come alongside those stuck in poverty and offer them a different way to interpret their position in life. To suggest that their status in society is, indeed, movable. To assert that their "destiny" is alterable. FH offers their partners in poor communities income-generating skills training and a means to begin building capital through Savings and Loans Groups. Gradually, the poor begin to realize that they, too, can build a better life. 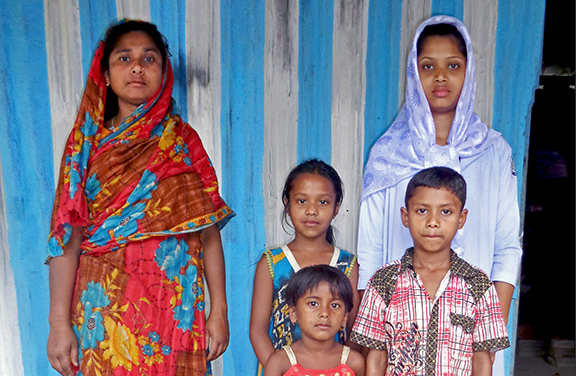 They can have food to eat every day, afford to send their children to school, and walk down the street with dignity. Perhaps most transformational to their lives is the new idea that each human being is created in the image of a loving God who wants them to explore their potential; the idea that every human being, rich or poor, is endowed by God with the same human rights. 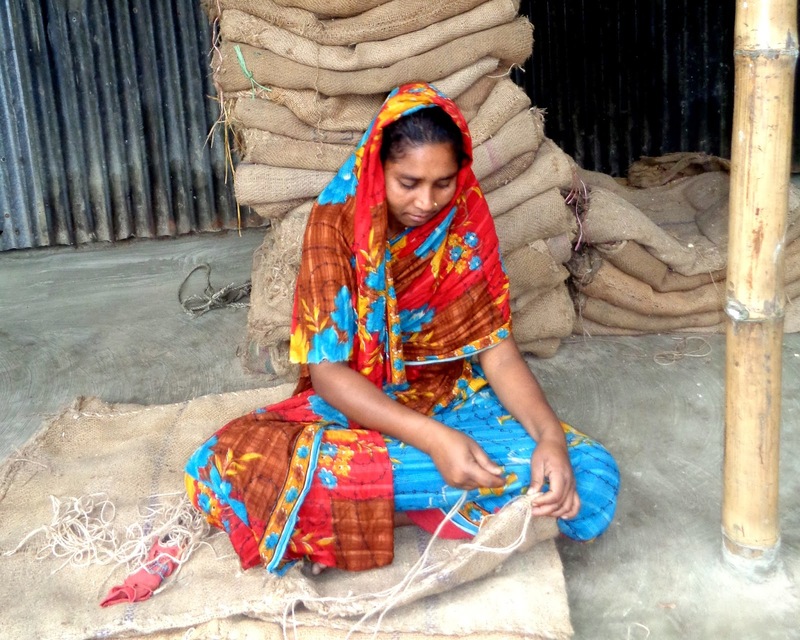 She was born into a poor family in one of the crowded communities of Mymensingh, Bangladesh. When she was still a small child, her father died, leaving her mother as the only provider for the family. Unfortunately, the community was not equipped or motivated to step in and help. Through an encounter with FH staff, however, Priya''s mother was able to get the assistance she needed. 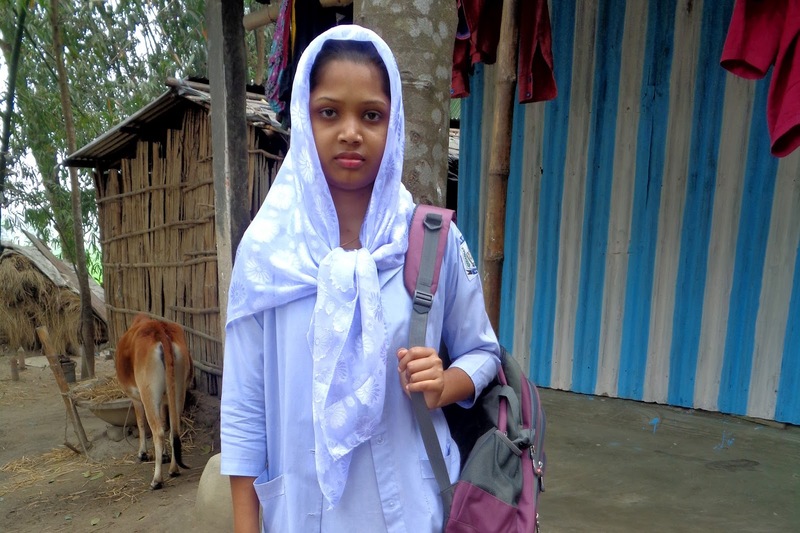 Priya was registered as a sponsored child so she could attend school and receive basic health care. Her mother joined a Savings and Loans Group and was able to get a loan to invest in her small business, enabling it to grow. Now Priya's mother is able to provide for her entire family. Priya herself is now in Grade 12, and the neighbours can hardly believe it! Rama*, one of the family's neighbours, commented, “It is a matter of surprise that Zeinab* (Priya's mother) is educating her children facing all difficulties." How did this destined-to-be-poor family thwart their destiny and shock their neighbours to overcome their hopeless situation? The first and biggest battle was in their minds - they had to overcome the belief that it was their fate to be poor. They had to overcome social expectation that they would always remain poor. And they had to overcome feelings of inadequacy and insecurity to discover that they did, indeed, have what it takes to change their future. Once that happened, the rest was just hard work and a helping hand from someone who believed in them. So, can "the poor" change their destiny? It would appear that they can. *Names have been changed for confidentiality purposes. Food for the Hungry: Can "The Poor" Change Their Destiny?